This massive collection of original stories and articles inspired by the ‘Cthulhu Mythos’ created by H.P. 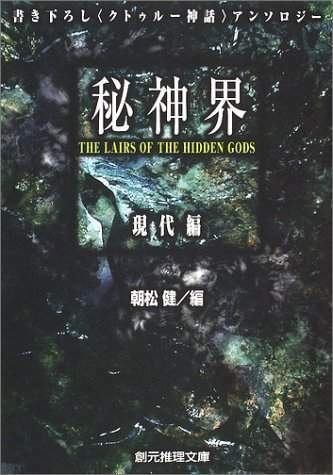 Lovecraft was published in Japan in 2002 as a two-volume set under the name Hishinkai. 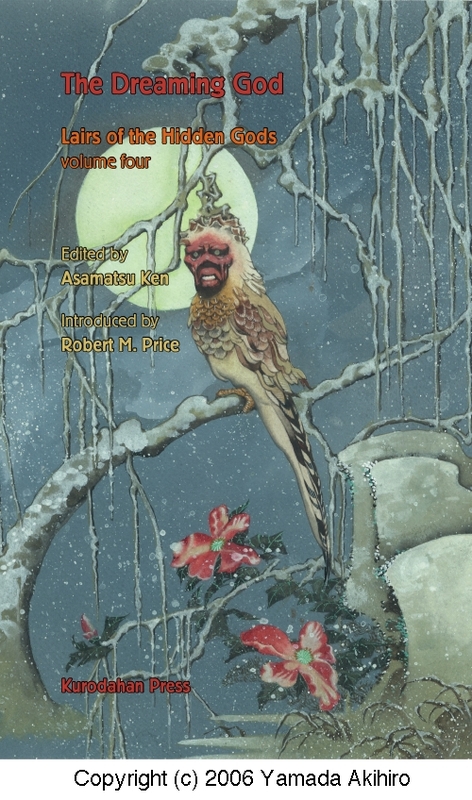 The list of contributing authors is a who’s-who of Japanese horror fiction, featuring some of the finest writers in Japan today. 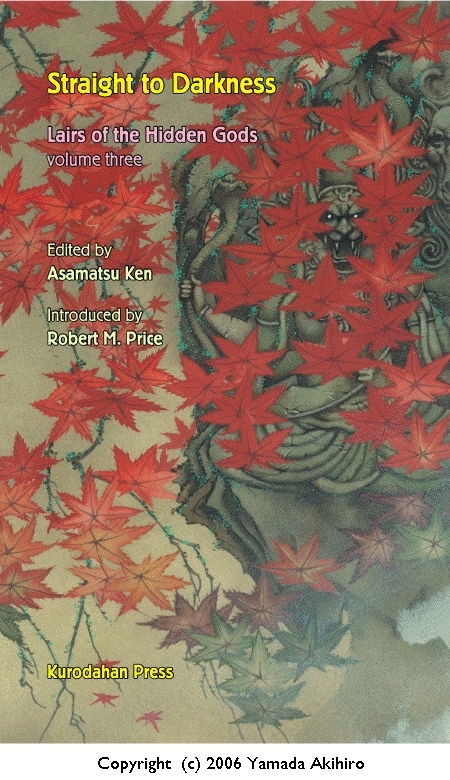 In cooperation with Tokyo Sogensha, the Japanese publishers, and the anthology editor, Asamatsu Ken, we are proud to present these dark visions of the Mythos as interpreted by Japanese authors. You will find some stories that return like old friends, carrying on the Lovecraft tradition, while others will shock you with totally new and unexpected vistas of horror. Each story is accompanied by a thought-provoking introduction by Robert M. PRICE, the recognized master of the Mythos. 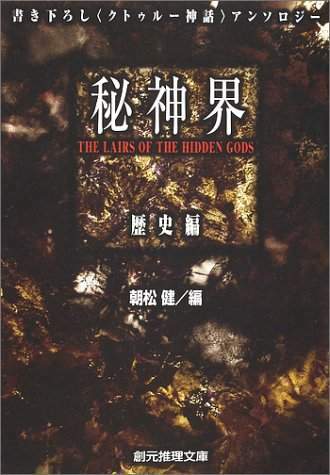 The cover is by YAMADA Akihiro, who has handled many of the covers for the Japanese-language editions of Lovecraft and other Mythos works, and has established a name for himself in the States as well. "...very original, very well-realized, and damn scary! " "...ideal for horror buffs of any stripe—even those who (like me) have largely grown tired of the mythos, [it] is an altogether unique and culturally specific but still readable and user-friendly take on familiar subject matter." It is a privilege to be able to introduce you to a number of highly talented horror writers from Japan, and not just horror writers, but Lovecraftian writers! As any American fan knows by now, the Old Gent has attracted quite a following internationally. 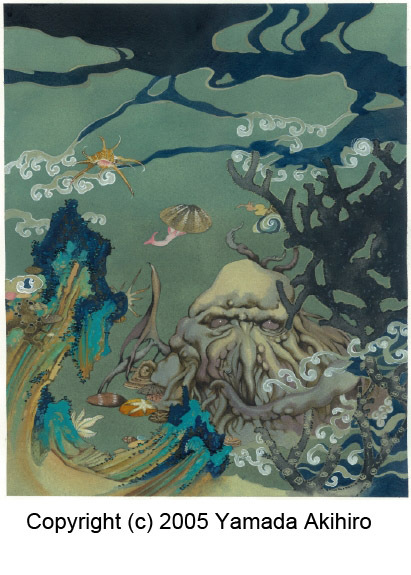 A few specimens of the Lovecraftian scholarship of other countries have straggled into print here in the USA, but the fiction spawned in Lovecraft-infected imaginations around the world has been slow in proving the adage: "What goes around comes around"! But now it has come round at last! And we are the beneficiaries. 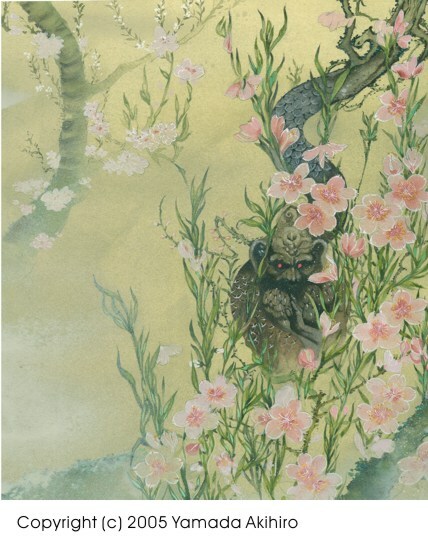 I will comment on each of the stories in turn, as you get to them, but for the present, I want to think with you about the cultural significance of Japanese Lovecraftian fiction.